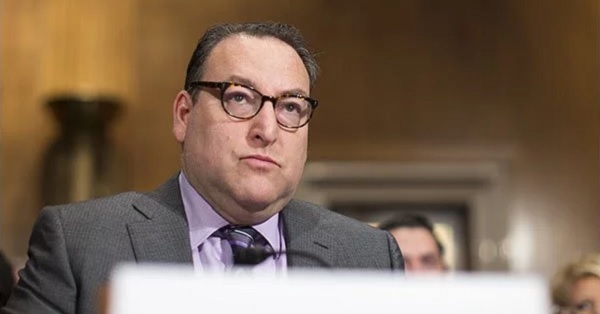 The Senate Committee on Health, Education, Labor and Pensions yesterday voted narrowly to confirm Kenneth Marcus as Assistant Secretary for Civil Rights in the Department of Education. The vote took place along party lines. Americans for Peace Now (APN) applauds members of the committee who opposed Marcus's confirmation and welcomes opposition to the appointment by a steadily increasing number of organizations, including the American Civil Liberties Union (ACLU). As we announced in December, APN strongly opposes Marcus's confirmation given his record of working to suppress speech critical of Israel on campuses by labeling it anti-Semitic. While concerned about the rise in anti-Semitic speech and actions in the US, APN is committed to defending free speech related to the Israeli-Palestinian conflict, including the right to protest Israel's occupation of the West Bank. We make a distinction between expressions of anti-Semitism and criticism of Israeli policies. We believe in the importance of opening debate in American society on issues related to the Israeli-Palestinian conflict. In particular, we believe that the federal government should not violate the rights of students to inform, discuss, and shape their views on the conflict. Marcus's history of attacking civil rights, including but not limited to the rights of students to criticize Israel, has gained the notice of the ACLU, which urges the full Senate to "take a close look at Kenneth L. Marcus's record" before taking its final vote on Marcus's confirmation. The ACLU echoes APN's focus on Marcus's strong support for the Anti-Semitism Awareness Act, under which the Department of Education would adopt a definition of anti-Semitism that includes speech critical of Israel. The organization warns that "as head of the Department of Education's Office of Civil Rights, Marcus could push the government to start taking action against students who speak out against Israel, regardless of whether the Anti-Semitism Awareness Act passes." As the New York Times notes, Assistant Secretary of Civil Rights in the Department of Education is "a prestigious post known more for policing racial bias and sexual violence in schools than refereeing the battles of Israel and Palestinian rights on the nation's university campuses." Accordingly, Kenneth Marcus is a terrible choice for the position. We are encouraged that Marcus secured only the narrowest of approval by the Senate HELP Committee and will push the full Senate to reject him when it votes on his confirmation. We call on all who prize free speech on university campuses and oppose conflating criticism of Israel with anti-Semitism to join us.